In the early days of the telephone, due to limitations in microphone and speaker technology of the times, the transmitter and receiver had to be physically separated by some distance (among other restrictions). The transmitters only worked reliably when on a vertical plane, so they were mounted in fixed positions, while the receivers were attached to free-moving pieces of wood — this was known as the “candlestick” style. 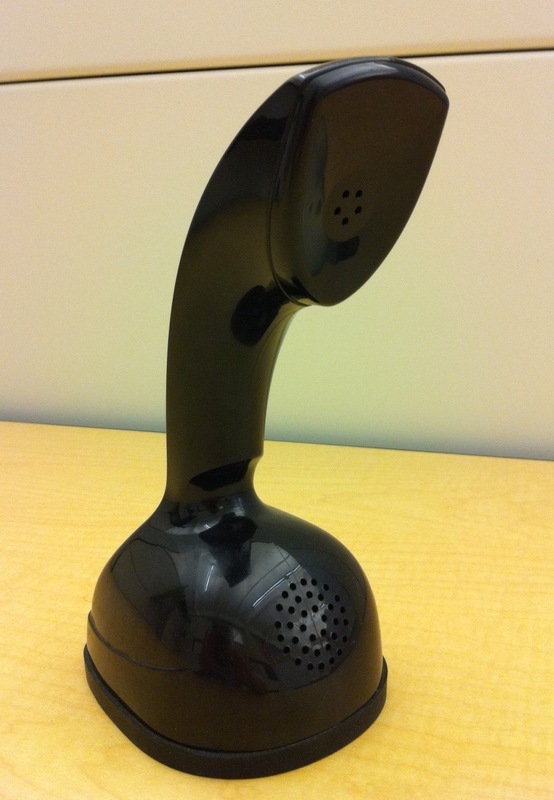 When the technology improved, Western Electric put the E1 handset into mass production. 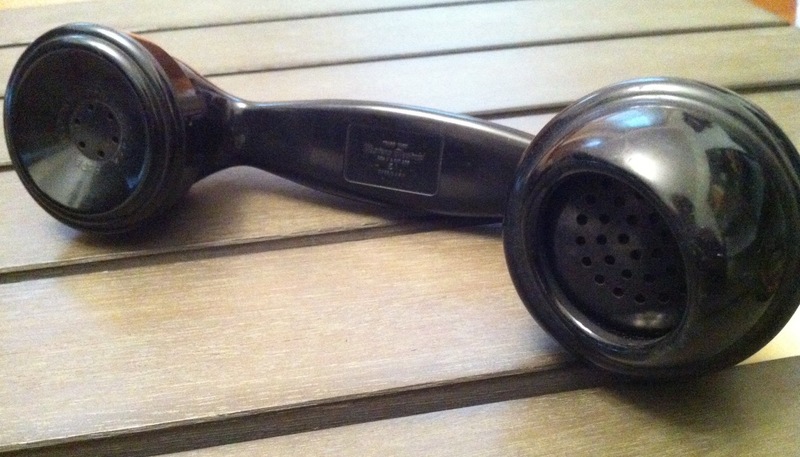 It was packaged with various body models of telephone in the 1920’s and 30’s. 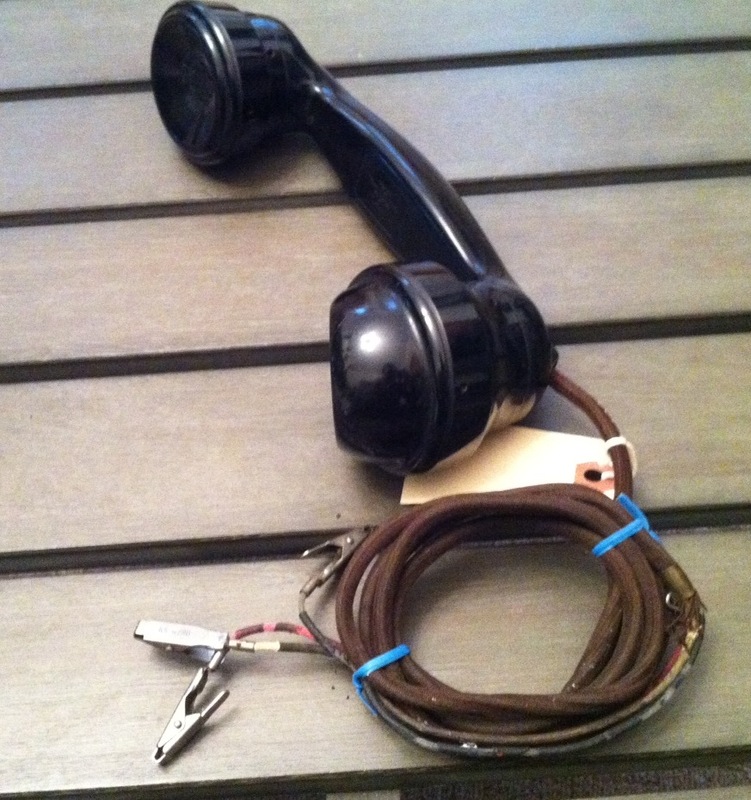 The handset is composed of five pieces fashioned from bakelite, one of the world’s first synthetic plastics. Holding this piece, one can imagine how much of an ergonomic improvement this was. Users could now prop their feet up and enjoy a drink while cradling the handset between their shoulders and head. The design is truly formidable; it was created 100 years before the iPhone, and though much heavier, feels just as comfortable in the hand. The E1 shown below is currently available recently sold on eBay for $15. 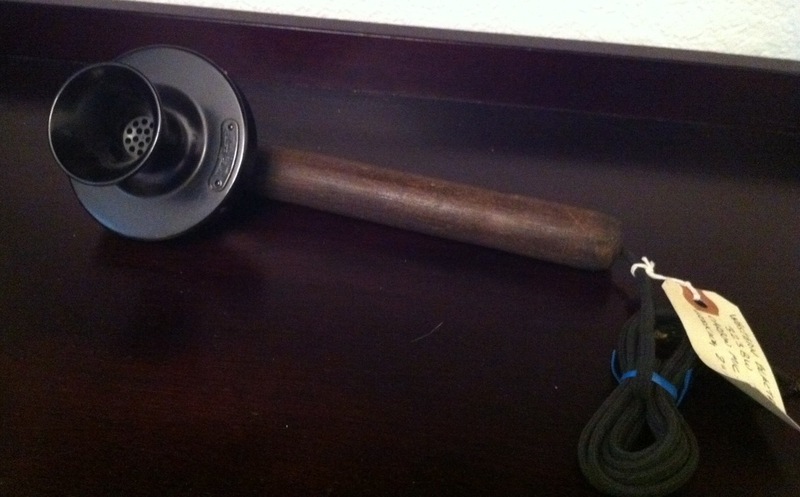 The “candlestick” style Western Electric telephone transmitter model 323BW was used in a variety of models of full telephone products manufactured by Western Electric in the late 19th and early 20th centuries. It is available recently sold on eBay for $16.05. I wish I knew more about this beautiful piece. It’s unmarked, so I know neither the year nor the manufacturer. 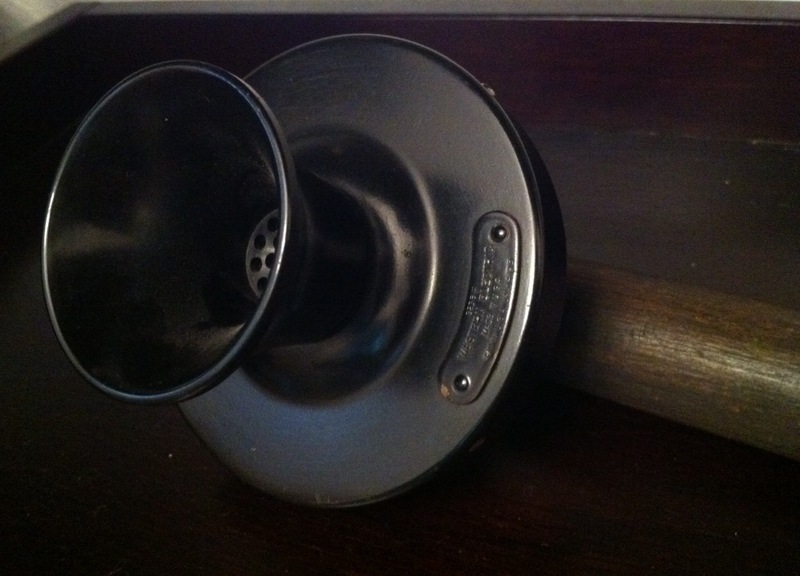 The telephones that used this type of separate handheld mouthpieces existed in the late 1800’s. Some manufacturers around this time were American Bell, Western Electric, and Kellogg Switchboard & Supply Company. Perhaps more No further details will emerged over the course of this piece’s eBay auction, where it sold for $18.05. 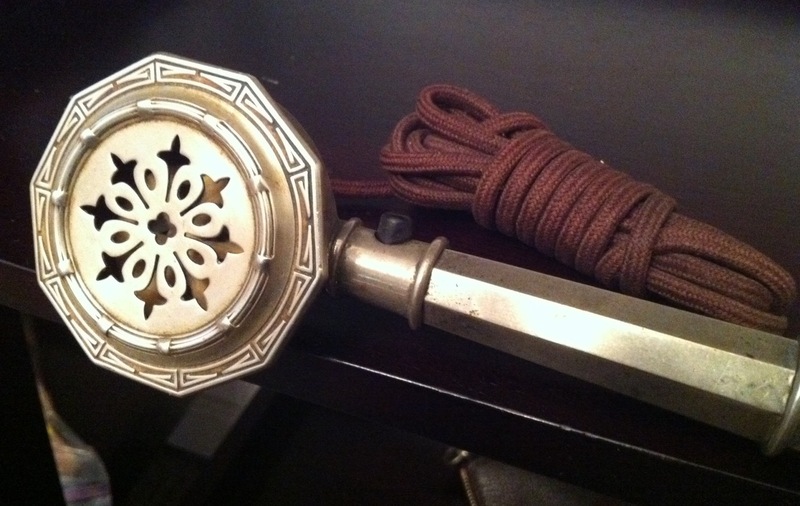 This isn’t a microphone or a radio, and it isn’t even original, but hey, it’s pretty darn cool. And it’s It recently sold on eBay for $29. 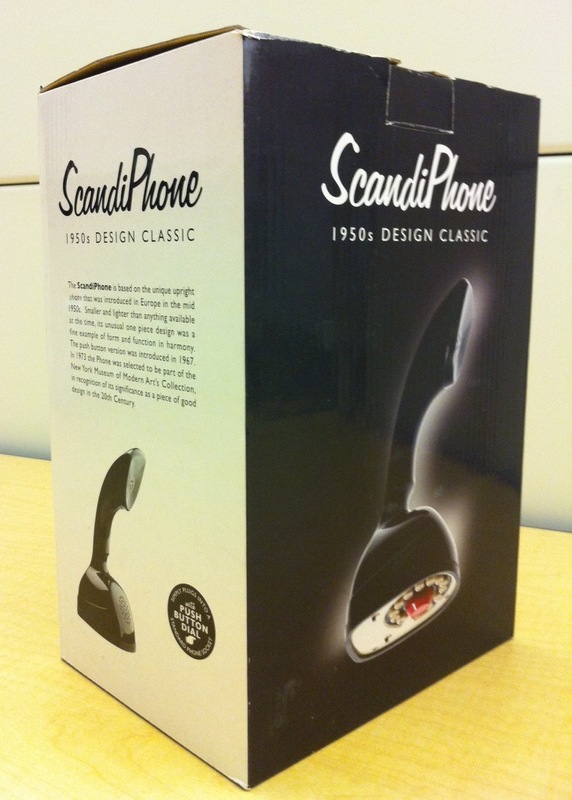 According to the box, “The ScandiPhone is based on the unique upright phone that was introduced in Europe in the mid 1950’s. Smaller and lighter than anything available at the time, its unusual one piece design was a fine example of form and function in harmony. The push button version was introduced in 1967. 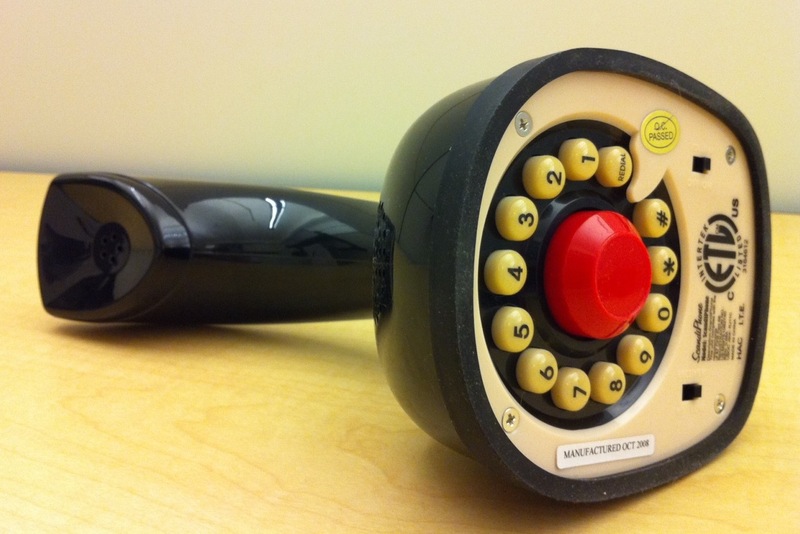 In 1973 the phone was selected to be a part of the New York Museum of Modern Art’s Collection, in recognition of its significance as a piece of good design in the 20th Century.” It makes the perfect hipster accessory, or perhaps geek handset mod for a desk phone at work.